Young Guns are down a member, but still hitting hard. 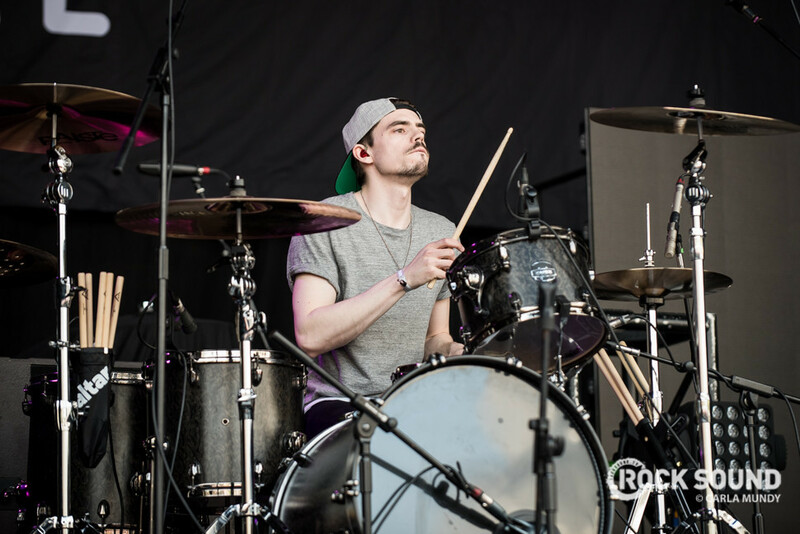 Here's what we learned watching them play at Slam Dunk North. Now that Ben Jolliffe has officially left the band, it's Tigress' Josh Coombes temporary turn behind the kit, and he slots in seamlessly. 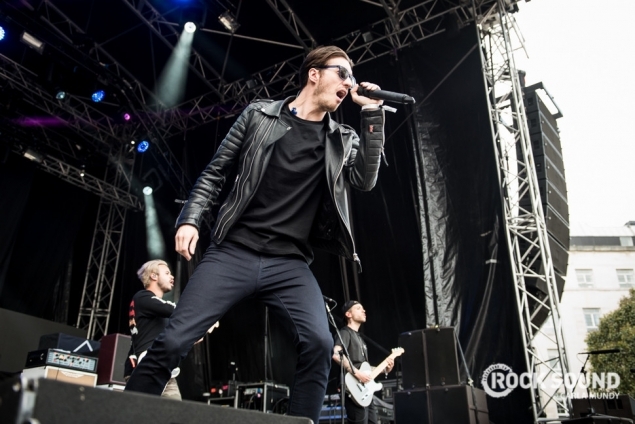 INTO NEWER YOUNG GUNS STUFF? YOU'RE IN LUCK! They play loads of stuff from 'Ones And Zeroes'. It sounds big, too. They seem to be having a laugh on stage, too. 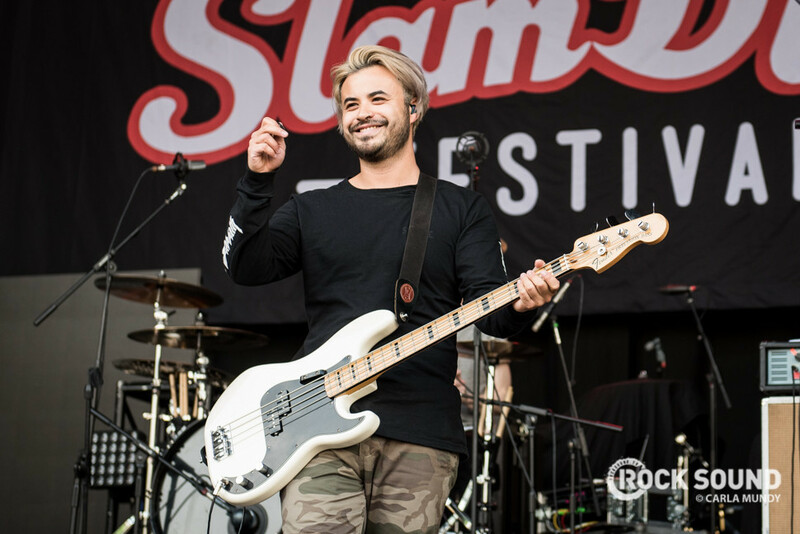 They've been away for a little while, and are clearly loving getting back on a stage and back in their groove. They have a big old crowd watching them. Will they be able to further establish themselves as a major contender in this scene with their next album? That's what Gus says onstage, anyway. 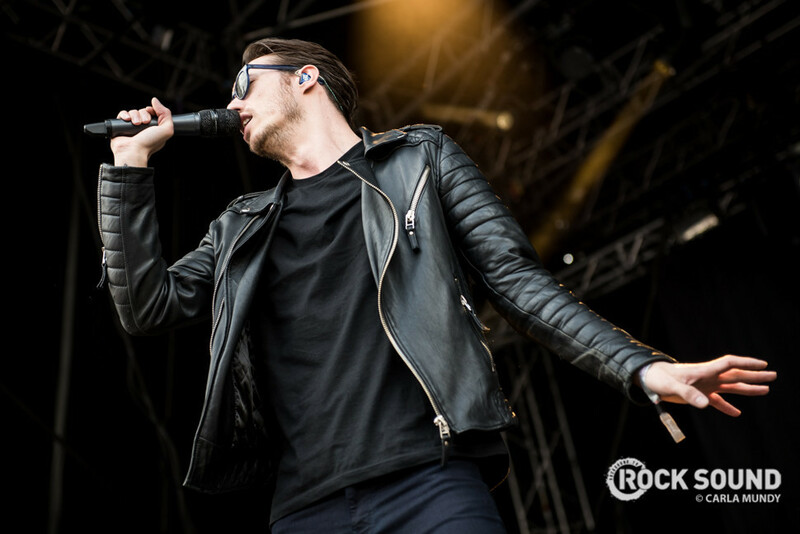 Mr Wood is definitely growing as a frontman. The vocalist's interaction with the crowd is better than ever, as are his effortless rock star moves (which are plentiful and epic). 'Bones' is STILL the highlight, even if the band do try to sneak it in at second to last in their setlist as if it won't be the crowd pleaser - and it caps a set that got better and better as it went on.